HAVANA (Reuters) – Fidel Castro, the Cuban revolutionary leader who built a communist state on the doorstep of the United States and for five decades defied U.S. efforts to topple him, died on Friday, state-run Cuban Television said. He was 90. 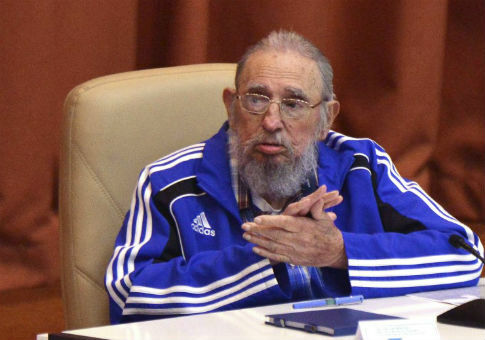 Castro had been in poor health since an intestinal ailment nearly killed him in 2006 and he formally ceded power to his younger brother Raul Castro two years later. It was Raul Castro who announced his brother died on Friday evening. Castro did not meet Obama, and days later wrote a scathing column condemning the U.S. president's "honey-coated" words and reminding Cubans of the many U.S. efforts to overthrow and weaken the Communist government. His death–which would once have thrown a question mark over Cuba's future–seems unlikely to trigger a crisis as Raul Castro, 85, is firmly ensconced in power. Still, the passing of the man known to most Cubans as "El Comandante"–the commander–or simply "Fidel" leaves a huge void in the country he dominated for so long. It also underlines the generational change in Cuba's communist leadership. "I don't think Fidel's passing is the big test. The big test is handing the revolution over to the next generation and that will happen when Raul steps down," Cuba expert Phil Peters of the Lexington Institute in Virginia said before Castro's death. His government improved the living conditions of the very poor, achieved health and literacy levels on a par with rich countries, and rid Cuba of a powerful Mafia presence. But he also tolerated little dissent, jailed opponents, seized private businesses, and monopolized the media. Many settled in Florida, influencing U.S. policy toward Cuba and plotting Castro's demise. Some even trained in the Florida swamps for the disastrous Bay of Pigs invasion. Angry at social conditions and Batista's dictatorship, Fidel Castro launched his revolution on July 26, 1953, with a failed assault on the Moncada barracks in the eastern city of Santiago. Only 12, including him, his brother, and Guevara, escaped a government ambush when they landed in eastern Cuba. When the Soviet Union collapsed in 1991, an isolated Cuba fell into a deep economic crisis that lasted for years and was known as the "special period." Food, transport, and basics such as soap were scarce and energy shortages led to frequent and long blackouts. The economy improved when Venezuela's socialist leader Hugo Chavez, who looked up to Castro as a hero, came to the rescue with cheap oil. Aid from communist-run China also helped, but an economic downturn in Venezuela since Chavez's death in 2013 have raised fears it will scale back its support for Cuba. Plagued by chronic economic problems, Cuba's population of 11 million has endured years of hardship, although not the deep poverty, violent crime, and government neglect of many other developing countries. It was never clear whether Fidel Castro fully backed his brother's reform efforts of recent years. Some analysts believed his mere presence kept Raul from moving further and faster while others saw him as either quietly supportive or increasingly irrelevant. This entry was posted in National Security and tagged Cuba, Raul Castro. Bookmark the permalink.